If you have been injured because someone else was negligent, you have a legal right to recover financial compensation for your medical bills, pain and suffering, property damage and more. 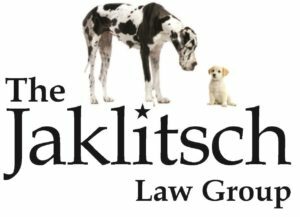 It doesn’t cost you anything to discuss your case with an experienced attorney at the Jaklitsch Law Group. We are known and respected in Prince George’s County, Maryland and throughout the region as elite personal injury attorneys who get results for clients. If you’ve been the victim of a personal injury, you may have experienced physical, financial, and emotional strain. You’ve been at the receiving end of a careless, negligent act, and you need to pursue legal compensation. We take the time to focus on your concerns and answer your questions, and we won’t shy away from taking your case to court if necessary. Our main office is located in Upper Marlboro, MD, but we happily serve other areas, including Annapolis, Kent Island, Waldorf, Prince Frederick, Grasonville, Glen Burnie, Severna Park, Capitol Heights, Crofton, Greenbelt, La Plata, Queenstown, Landover, Fort Meade, College Park, Chesapeake, Clinton, Laurel, Huntington, Forestville, District Heights, Odenton, Oxon Hill, and Bowie. To get in touch, simply use the contact information below. Contact us for other convenient locations. We encourage you to contact us by phone to arrange a free consultation and case evaluation. If you prefer, please complete and submit the convenient e-mail form below. Our accessible office is located a half mile from the courthouse in Upper Marlboro. We are pleased to communicate with you concerning legal matters. However, if you communicate with us through this website regarding a matter for which our firm DOES NOT ALREADY REPRESENT YOU, your communication may NOT be treated as privileged or confidential, and shall NOT be deemed to create an attorney/client relationship. Furthermore, you should NOT provide confidential information to anyone at our law firm in an e-mail inquiry or otherwise unless we have FIRST entered into a representation agreement. By continuing on to our web site you are deemed to have agreed to these terms and conditions. If you need to speak with us about a general inquiry fill in the form below and we will call you back within the same working day. By clicking submit, you agree to our terms of service. Experience nationally acclaimed Attorneys with more than 50 years of combined Legal Knowledge.